Friday, September 6, 2013: Excited to be featured on Author Interview Friday on Confessions of a Book Addict, the awesome blog site run by Book Addict 24/7, Dayla F.M. It was my honor to have the opportunity to discuss THE NAMESAKE in depth in response to Dayla’s truly insightful questions. Take a look and leave Dayla a comment! On Saturday, August 25th, 2013, award-winning author–and our amazing Merit Press Editor-in-Chief–Jackie Mitchard made an appearance on the popular Blog Radio show, Authors on the Air. I made a suprise call in and had the pleasure of chatting about Merit and THE NAMESAKE with Jackie and host, Pam Stack. Check out the archived interview, and listen for me around the 43-minute mark. 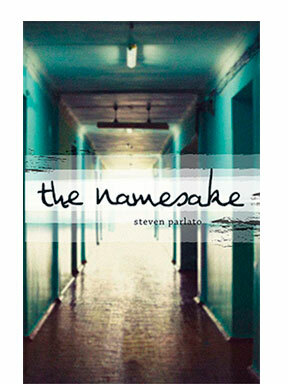 Recently, I’ve had the great fortune to talk about THE NAMESAKE on various book blog sites. It’s been a wonderful opportunity to spread the word about my novel. What I didn’t expect was the amazing level of enthusiasm and encouragement I received from these lovely folk. Here are links to my online appearances with Book Addict 24/7 and The Subtle Chronicler. Please check out their sites. Dayla the Book Addict posted a beautiful review of the book here. The Subtle Chronicler also posted a wonderful review. Along with choosing actor Liam James (star of The Way Way Back) to play my main character, Evan Galloway, in his blog feature Cast Them Away, he hosted me for an author interview. These folks dedicate countless hours to supporting authors and educating readers about must-read books. Please show them some love by visiting their sites and leaving a comment!